Almost two decades ago, the Intergovernmental Panel on Forests (IPF) provided a setting for countries to debate and formally recognize the importance of a comprehensive forest policy framework for achieving sustainable forest management (SFM). Through the IFP, which was in operation from 1995–1997, countries agreed on a common approach known as national forest programmes (NFPs), and adopted a set of principles designed to guide NFP development and implementation. 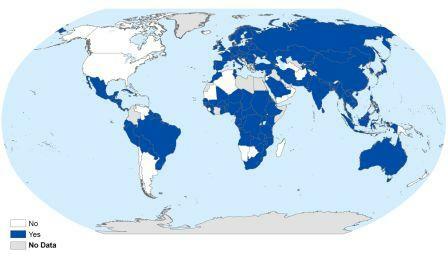 Today, NFP processes are under way in more than 130 countries. The term “national forest programme” does not refer to one specific programme. It actually incorporates a wide range of approaches that can contribute to the formulation, planning and implementation of forest policy at national and subnational levels. As one of the most important outcomes of international forest policy dialogue, this means that NFP is applicable to all countries and to all types of forests. multilateral and bilateral collaboration, with NFPs used as a common frame of reference for forest-related international cooperation by the world’s major organizations and fora and most bilateral donors. This Web site provides an introduction to NFPs. More detailed information on the concept can be found in the publication “Understanding national forest programmes – Guidance for practitioners”, or in "NFPs in practice", which gives a country-level perspective on experiences in implementing NFPs. United Nations Framework Convention on Climate Change (UNFCCC) decision on reducing emissions from deforestation and forest degradation; and the role of conservation, sustainable management of forests and enhancement of forest carbon stocks in developing countries (REDD+).